1: Organic reach on social media is down. Paid gives you fast results. With paid advertising, you are guaranteed reach and can utilise your content to elevate your brand with specific targeting and obtain more qualified leads. If your website is not ranking on the first page of Google results for a search query, then paid advertising enables you to place ads for keywords and bring in high quality traffic to your website without the work and time investment search engine optimisation involves. When you are running paid advertising campaigns, you are able to reach a very broad and large audience. 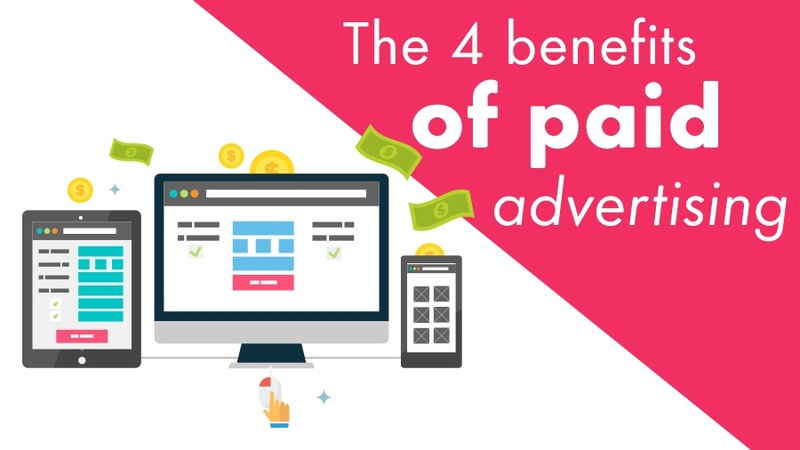 Costs related to paid advertising are dependent on the objective or type of ad you are running. For example, if your objective is website traffic then you will incur a cost-per-click (CPC), or if your aim is brand awareness you will incur a CPM (Cost Per 1,000 Impressions). Ads can be created in mere minutes and there are many tools that help you to create the necessary images at a very little or no cost at all. You can also keep track of the money you have spent on all paid ad platforms from Google, to Twitter, Facebook and LinkedIn advertising. You can set daily budgets and total budgets for campaigns so that you never over-spend. Paid targeting can be very specific and allows you to reach relevant visitors who are interested in your brand and fit the demographics of your sales personas. Take a look at your analytics across all your digital platforms and analyse your audience to identify common factors such as keywords, locations, demographics, job titles, interests and common topics. You can use all of this information to refine your paid campaign targeting and net in more qualified leads, and thus increase conversions. Once a visitor has browsed your website or clicked through an ad, you can run a retargeting campaign to continuously engage prospects who have shown an interest in your product or service. By doing so, you are constantly in the back of the mind of your potential customers. There are so many options for you to choose from and a variety of different campaigns to suit your every need when considering paid advertising. When conducting audience research, find out what digital platforms your primary target audience is using. Identify the platforms that have paid advertising available, and then you are on your way to paid advertising glory.